In the Web site management, the importance of the link has risen. The social bookmark is added information on the classification, the popularity degree, and the comment, etc. , is shared, links them, and becomes the lead to the site. 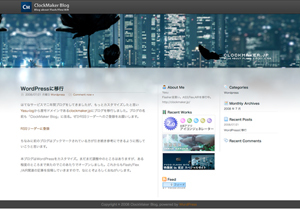 The number of bookmarks of main social bookmark services is analyzed in this application. Please use it to optimize the Web site management and SEO/SEM. The Site scan function to crawl the site automatically is installed. URL in the site is automatically made a list only by inputting the parents address on the site. Site map XML used with the Google Webmaster tool for Webmaster for World Wide Web Site is made available. Because the report corresponds to the CSV file preservation, it is possible to manage the report by Excel. When the report is displayed, it leaves it for the file with one button. A live preview is installed on the report screen. Because the browser function has been provided for the sidebar, the report can be analyzed while understanding which page URL shows. 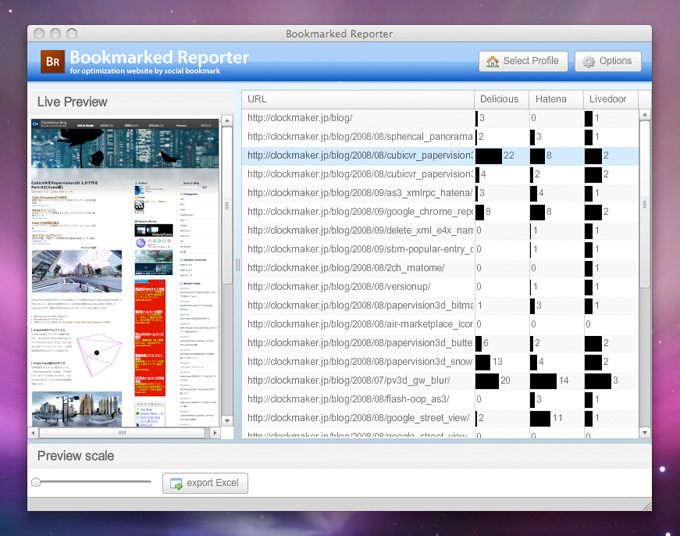 Window and Mac OS X operate because Bookmarked Reporter is Adobe AIR application program. Read more Adobe AIR System requirements. The social bookmark evolves power good. The automatic update function is installed so that the update of new service and existing service etc. may correspond immediately. (C)Copyright 2001-2008 clockmaker.jp, All rights reserved.